Let’s strap in and get ready for the weekend folks. 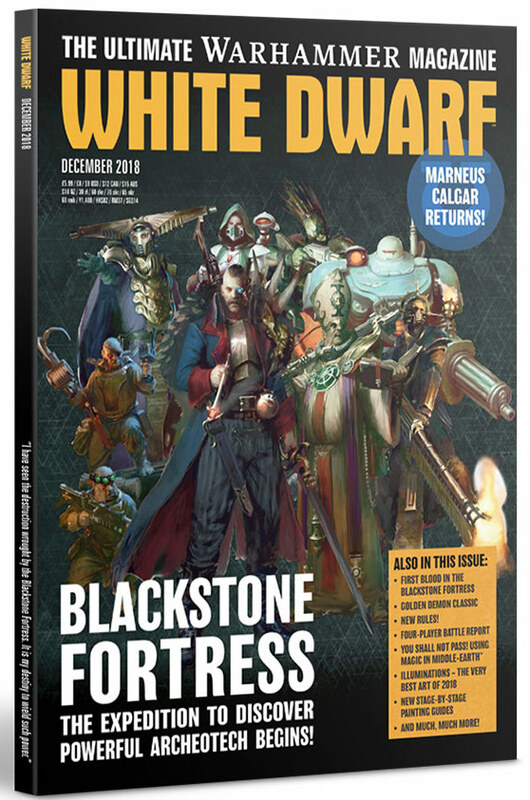 Today we’ve got a look at the upcoming White Dwarf for you–and what a look it is. This one is Blackstone Fortress-centric, as you might expect. It includes a ton of new rules for your favorite specialist games. 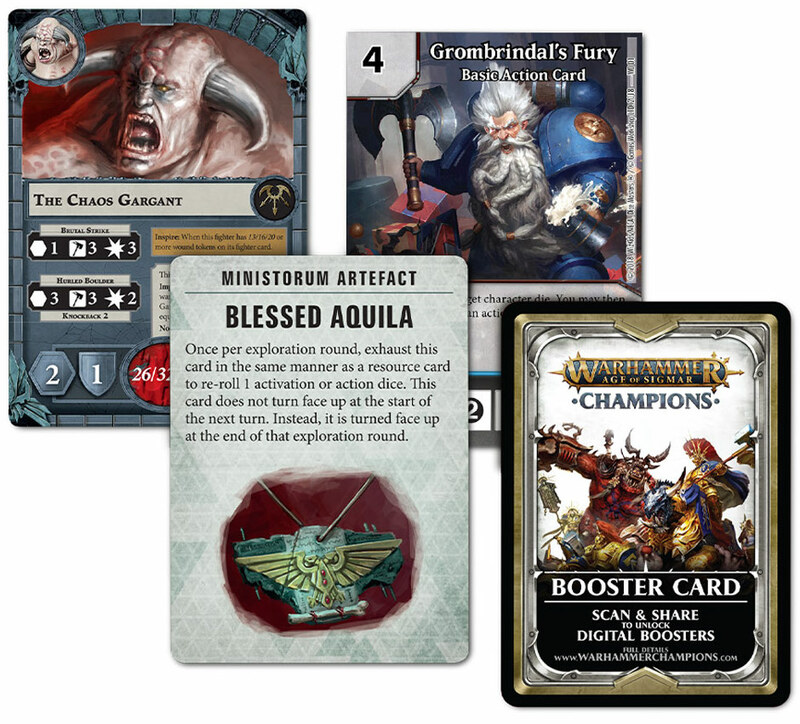 There’s a new Gargant for Underworlds, a new special mission and reward for Blackstone Fortress, the rules for House Delaque, Cerastus Knights for your Titanicus legions; there’s even something for Doomseeker and Age of Sigmar: Champions. With so much on offer, let’s take a look. First up, here’s an overview of the Magazine. 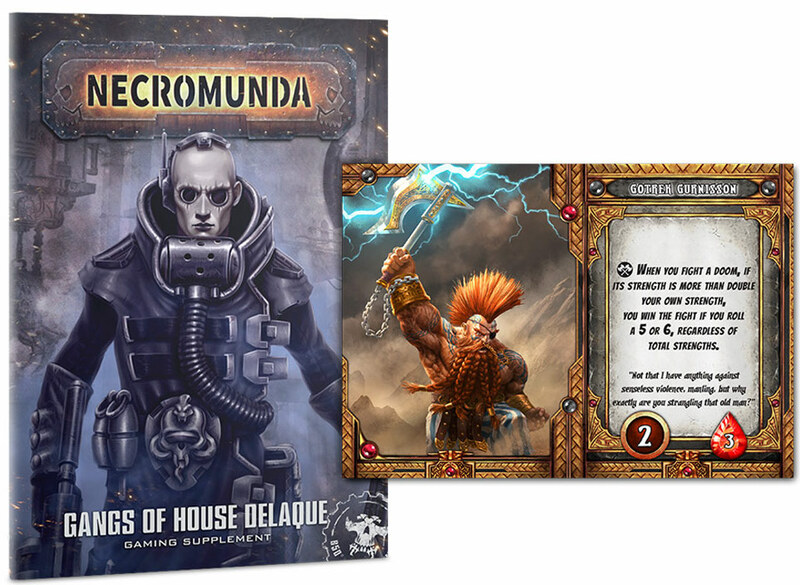 An 8-page booklet with all the rules for the Necromunda Delaque Gang – incidentally, you can pre-order your Delaques from tomorrow! 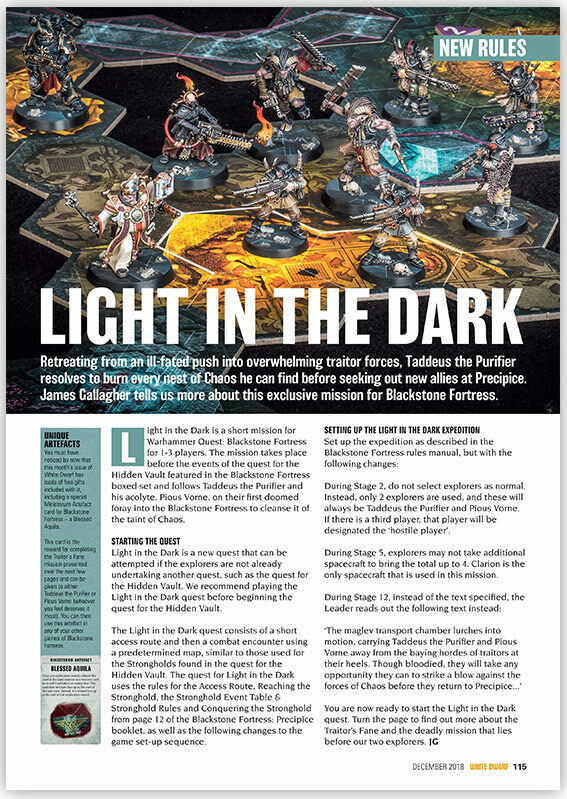 You’ll get a new quest for Blackstone Fortress, which takes Taddeus the Purifier and Pious Vorne on a side mission where they can team up like a couple of buddy cops and earn a new artifact to take into the Vault. And fight against one big ting with your warband. This is pretty cool stuff–it changes the game you’re playing in meaningful ways. I love this kind of content, it adds to the game without making you buy a whole new expansion, it’s just more stuff to do with what you already have. But talking of buying a whole new expansion. 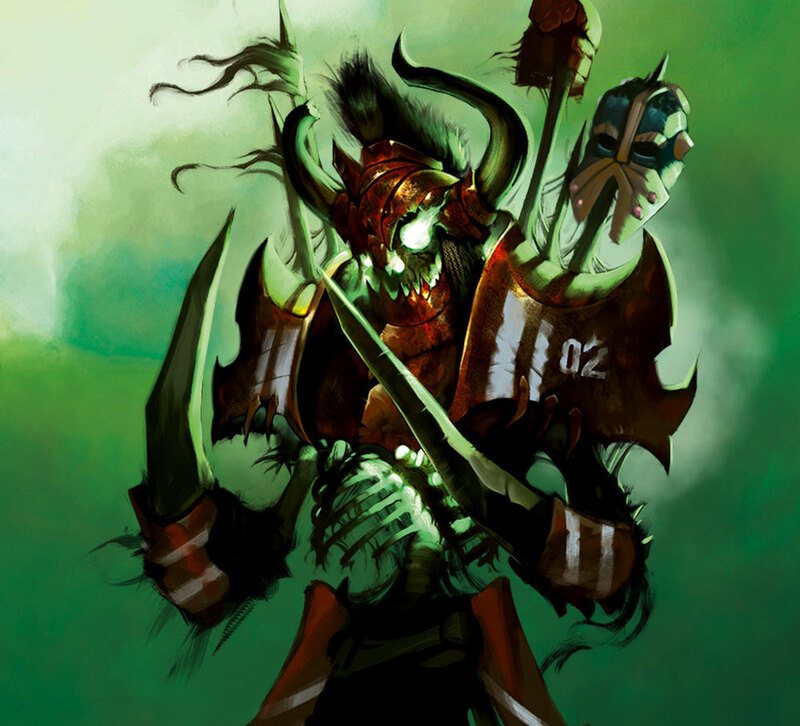 The Champions of Death are one of the most successful Shambling Undead teams in the history of Blood Bowl – fortunate really, as they certainly have a grandiose team name to live up to. 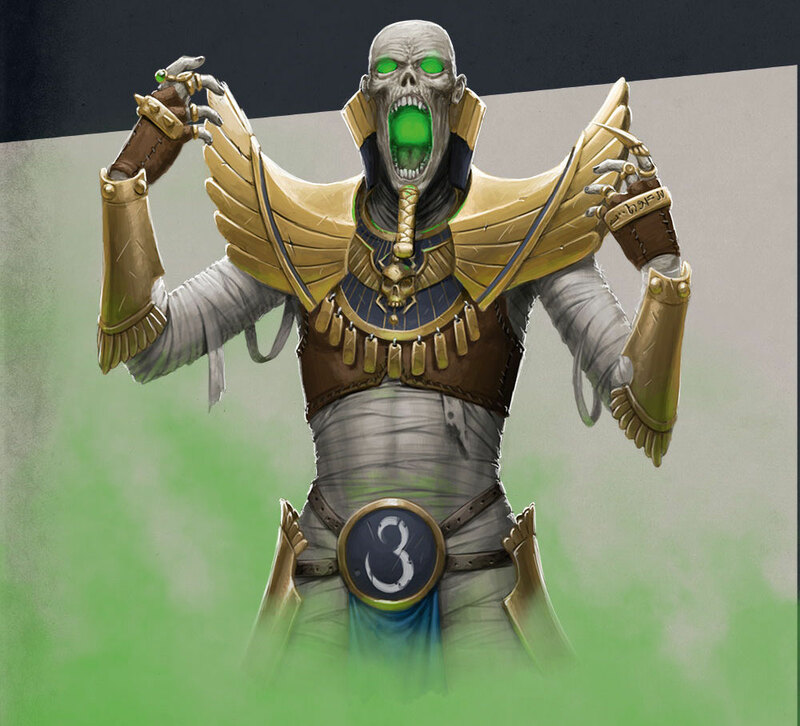 * Coached and ‘motivated’ by their owner Tomolandry – a necromancer blessed with the rare combination of both ambition and talent – the Champions of Death have had a long and storied career. The rise (or raising)** of future Hall of Famer Ramtut III helped lead them to the Blood Bowl VI title in 2466, and again twenty years later in Blood Bowl XXVI. The Undead team has a lot of different types of undead on it. So in order to use it well, you’ll need to know what kinds of Undead you’re fielding, and what they can do. With Strength 5 and Mighty Blow from the outset, these guys are the envy of any team’s line of scrimmage. They’re dead good,**** able to go toe to toe with an Ogre or Troll, and will easily push around Strength 4 opponents. What’s more, you can include two of them from the very start – which you should totally do! They should spend the game either punching holes in your opponent’s line or knocking ten bells out of their players for no other reason than to try and get them off the pitch! Useful Skills: Guard, Stand Firm. If you roll a double, take Block – unless it’s a double-6, of course! 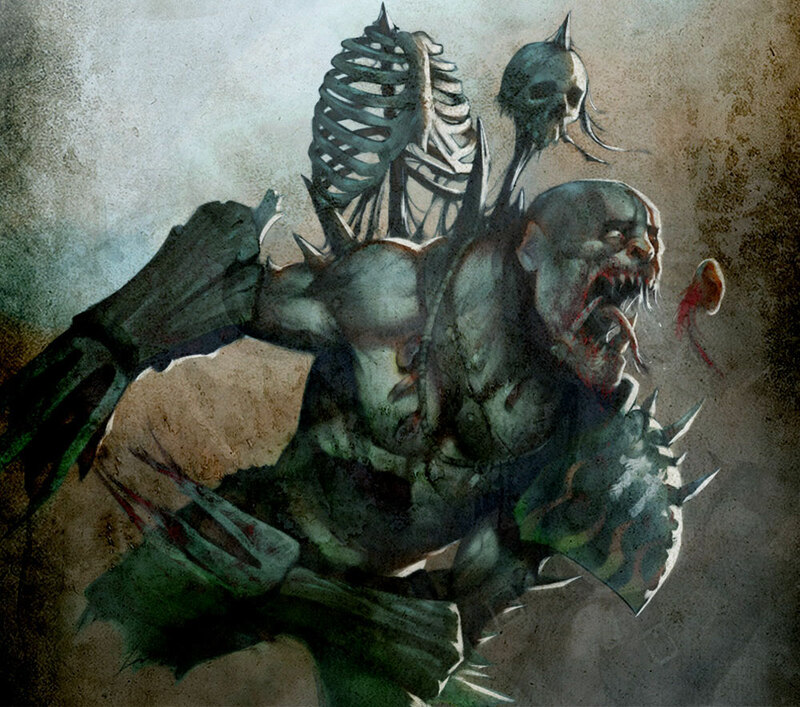 The undead equivalent of a Blitzer in most teams, Wights start off with a solid profile and Block. They are easily your best all-rounders (they even have a whopping Agility of 3!) and should be treated as such – use them as attacking threats or ball-carrying options whilst on the offensive, and as sweepers looking to sack the ball carrier in defence. Useful Skills: Tackle, Sure Hands. If you roll a double, take Dodge. With a Movement Allowance of 7 and Dodge, Ghouls are your swiftest, most agile players and should be used as your main receivers and runners on the offensive. However, consider leaving them on the sidelines when kicking off – they have a low Armour Value and are the only players on your team without Regeneration, so you need to protect them as ruthless opponents will likely target them accordingly. You have plenty of cheap, disposable and, more importantly, regenerating players to take their place! Useful Skills: Block, Side Step, Sure Hands. If you roll a double and already have Sure Hands, you could even choose Pass to give your team an additional attacking option. 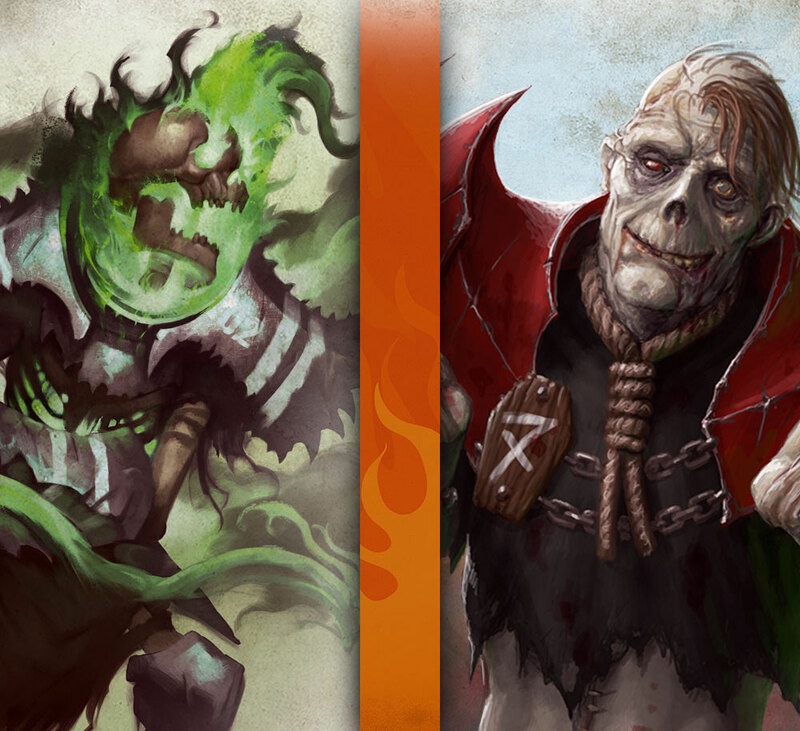 Unlike most teams, the Shambling Undead have access to two 0-16 player options: Skeletons and Zombies. They are essentially very similar, even costing the same, making the choice between them mostly a personal or aesthetic one. If anything, the faster Skeletons serve better on the flanks and the more resilient Zombies should fill in the gaps between the towering pillars that are your Mummies on the line of scrimmage. So there you go. Enjoy your weekend folks!